WE ARE HAVING THE TIME OF OUR LIFE ! 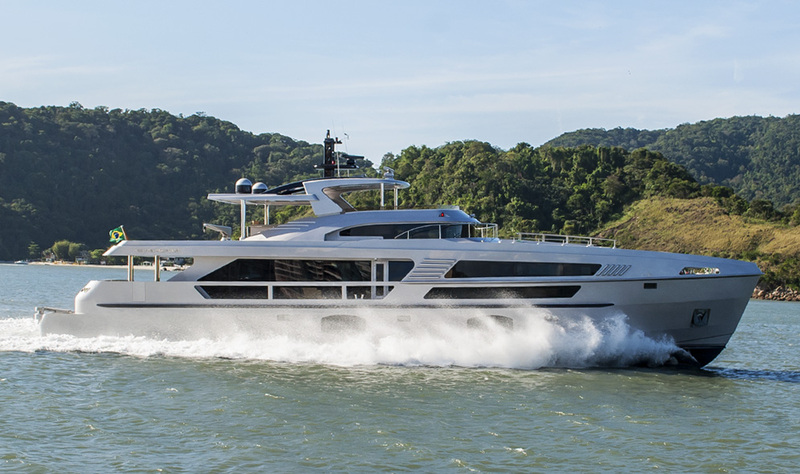 She is the perfect starting point for the multiyear design development agreement between MCP, the biggest South American custom yacht builder and the Dutch Studio Vripack signed earlier this year. Fifth boat built from the CLASSIC 76 series by the MCP YACHTS, MY ROME endorses the famous proverb in which `All roads lead to ROME`. 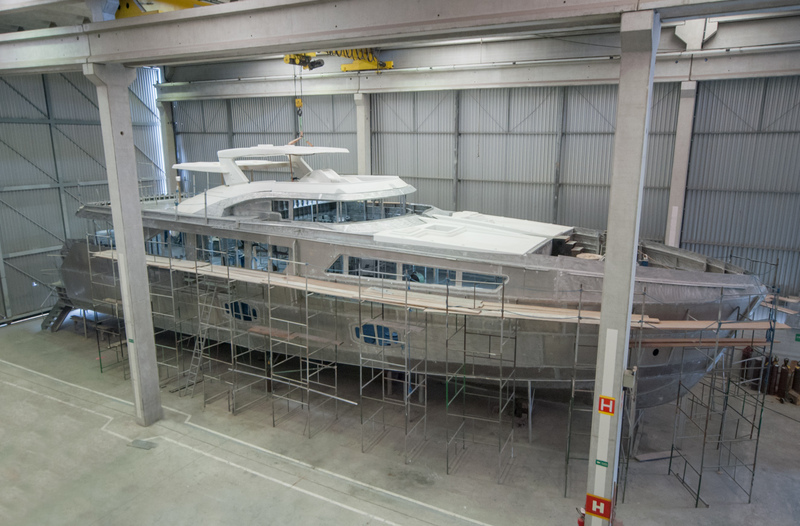 As one of the most active builders, the shipyard starts building on a fast pace the new 92'5 THD project. 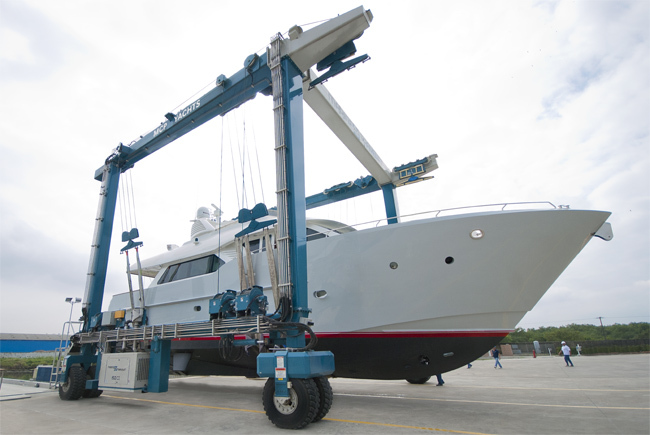 Confirming its position as a leader in superyacht construction in South America, MCP launches its 106LE 2nd edition. Watch in just one minute the equivalent of six months to build a 106LE, hull designed and produced by MCP Yachts. The models 106 and LE Classic 76 are in advanced production process. In the test the new model of MCP proved its high performance, exceeding the design speed and navigating to 26 knots with 89% of maximum engine power. 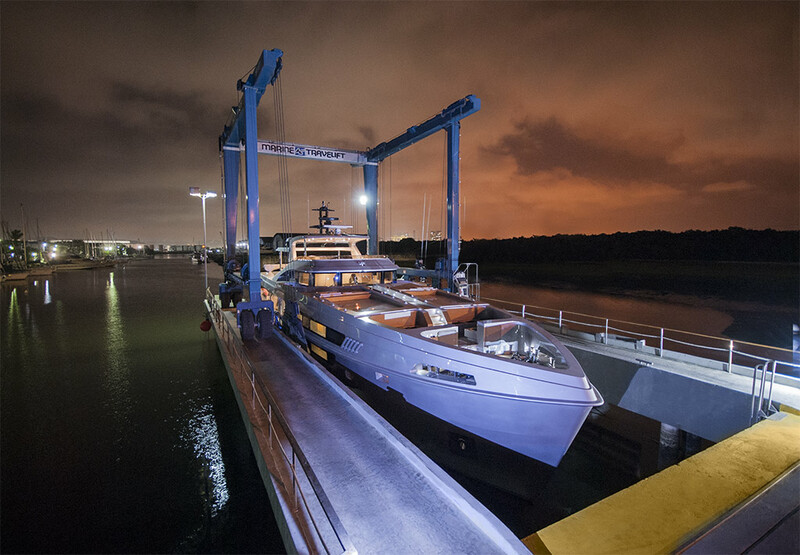 MCP Yachts launched the sea the new yacht with three decks 106 'Limited Edition. 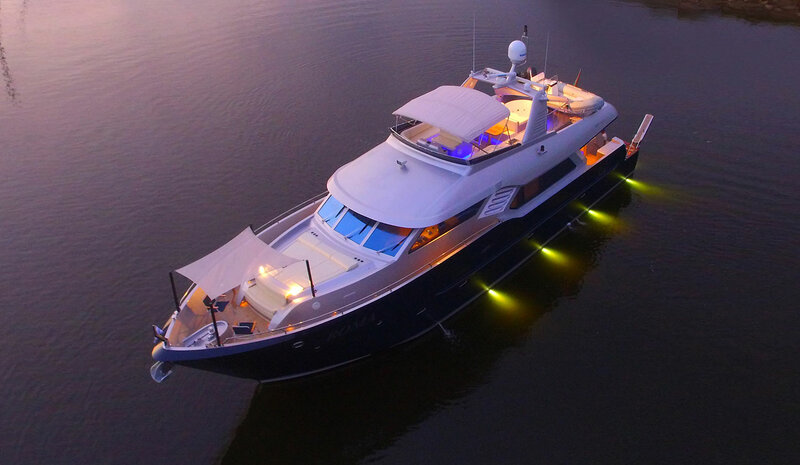 The boat has stylish and innovative design thanks to the graphic lines of the windows that cover almost all the main deck and create environments as the master suite with large picture windows and the balcony glass that opens in the main hall. 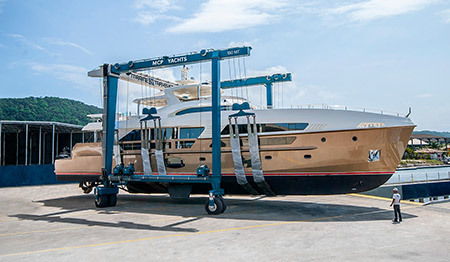 On Friday, July 5 MCP Yachts hull number 085 Raffaella II was launched after 2.5 years of construction and more than 150 direct professionals involved. A brand new Classic 76 has been launched. This new model comes with a custom paint, Full layout and a powerfull motorization (2xC18 – 1015 BHP each). The sea-trials are almost completed. 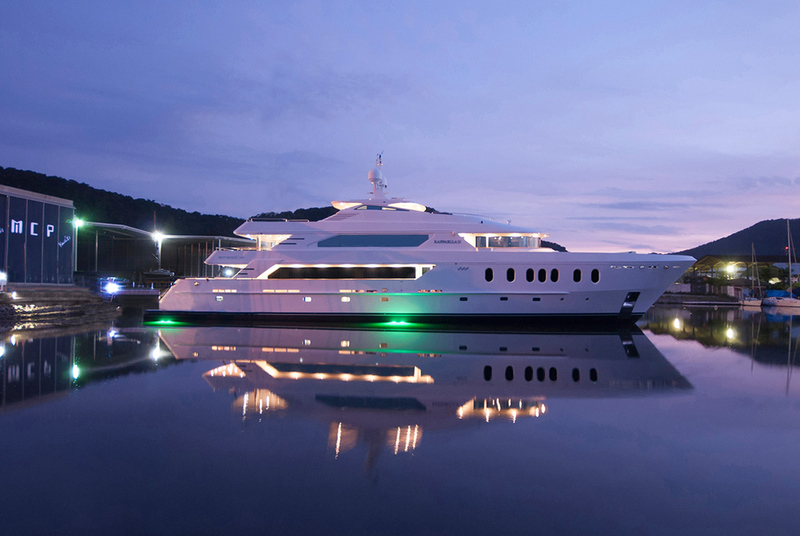 fter the success of the other 106 feet MCP motor yachts, it is time to herald a new era. Combining open innovation with 30 years of knowledge in aluminum yacht building, the new MCP 100’LE brings elegance with its modern profile with a bright ample-sized interior. Take off your shoes and enjoy this fascinating 360° virtual tour inside a MCP Classic 76. All built in aluminum, with ample-sized interior and long range autonomy, the Classic 76 is a great success in Brazilian yacht market. After a successful season winning classic yacht regattas at Punta del Leste (Uruguay) and Antiqua (Caribbean), the classic J-boat Atrevida returns to MCP for mast and Sail modifications. The operation caught everyone’s attention as it was easily accomplished. 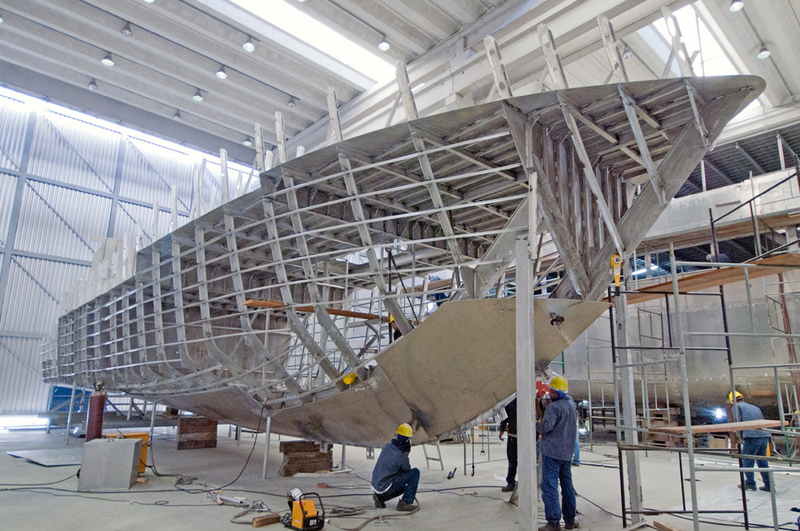 The largest yacht in South America is now ready for fairing, painting and finishing. To compete with a network of air cargo chopper companies, the fast vessels jet driven are designed to carry up to 60 tons of cargo, 60 passengers, 6600 gal of fresh water, and almost 11000 gal of oil, all of that sustaining cruise speed of 21 knots. 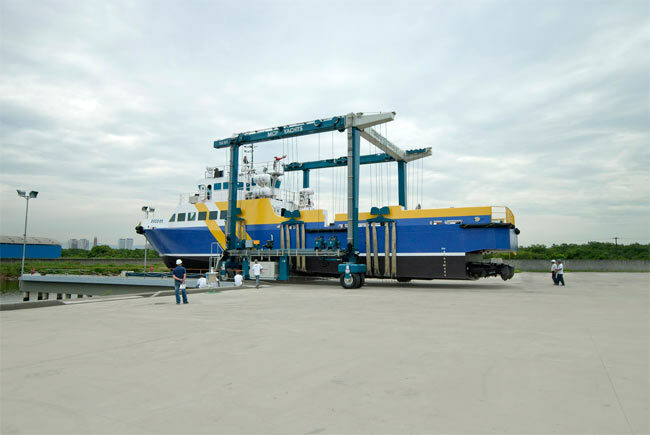 MCP Yachts launches the first of three fast aluminum supply vessels for Petrobras use. 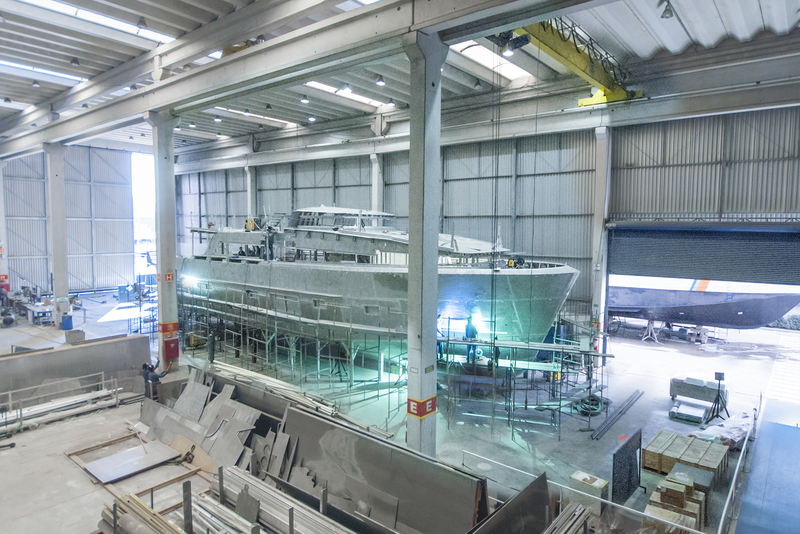 MCP Shipyard, known for producing high-quality aluminum yachts and commercial vessels, launched the first of three 115-foot fast aluminum supply vessels for Brasil Supply SA. 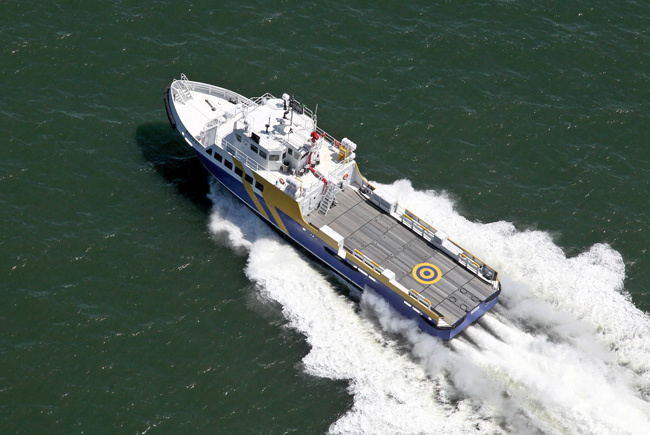 These offshore crew boats will support Brazilian major oil company ‘Petrobras’ in Northeast Coast. 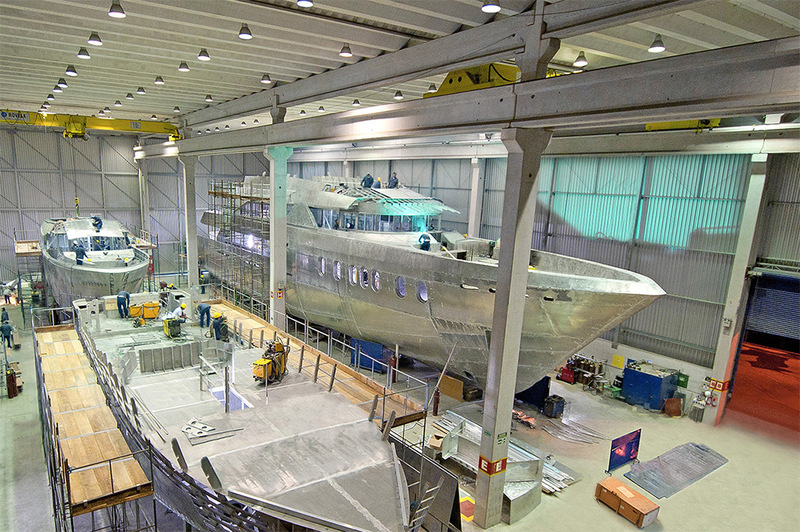 MCP Yachts recently signed another two contracts for the construction of Classic 76 motor yachts (hulls 086 and 087). 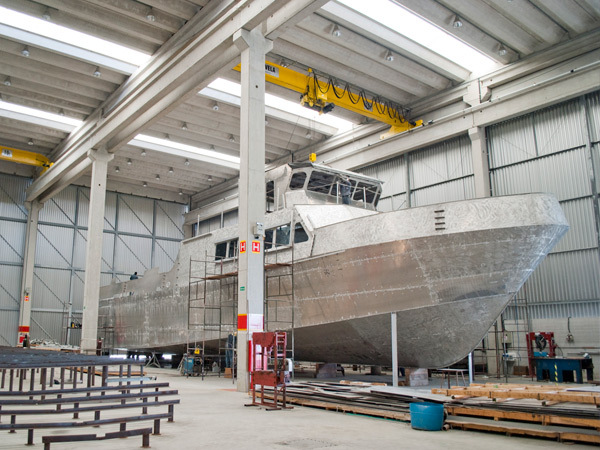 After 10 years building luxury motor yachts, MCP Yachts rediscovers the service market building three 35 meters fast aluminum platform supply vessels. From the late 80s to the 90s MCP Yachts worked together with other yards in order to supply the Brazilian navy and army. The company built service vessels such as patrol and tugboats as well as ferries. MCP Yachts is proud to announce the signing of a new yacht contract – Hemisphere 140. 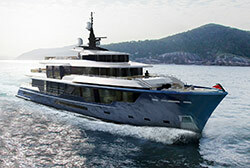 This semi-displacement full aluminum 42.5 meter yacht will be the largest in South America. 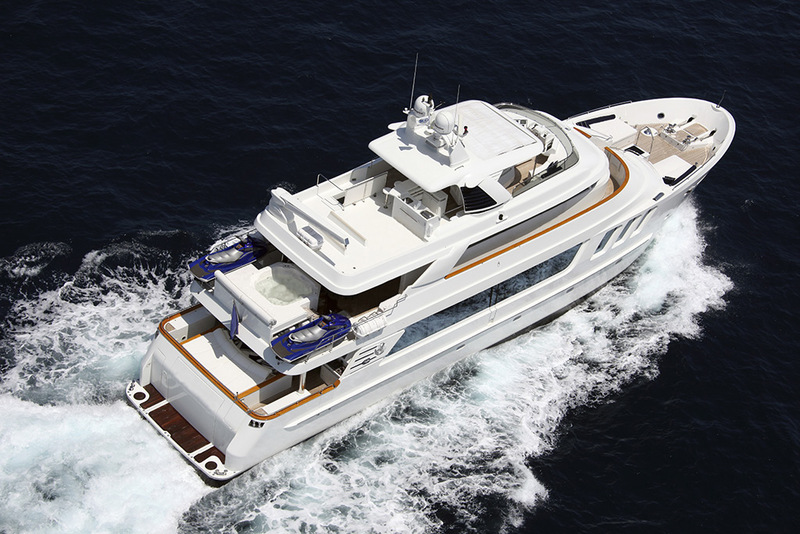 Hemisphere 140 is a semi-displacement tri-deck yacht which accommodates ten guests in unsurpassed luxury. A vessel projected by MCP Yachts together with Vripack that represents an exceptional landmark achievement in Brazilian large yacht construction. With our tradicional and sophisticated way of constructing motor yachts, MCP proudly presents the new Europa 100 – Lady Genyr, launched July on 27th.